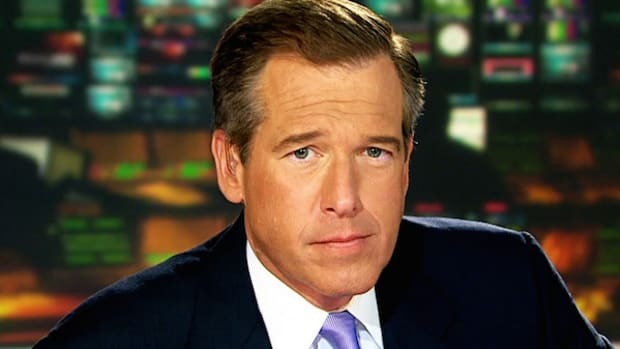 The whole Brian Williams story is getting, as they say, curiouser and curiouser. Yesterday I mentioned a CNN report which seemed to corroborate at least part of Williams&apos;s account about what happened to him in Iraq in 2003, namely that the helicopter he was riding in had taken fire and had to land in the desert. 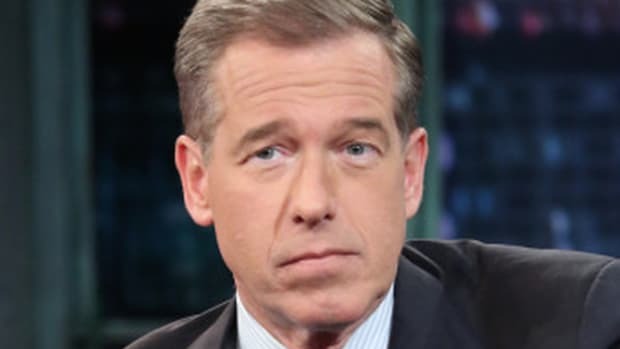 Williams has spent years claiming publicly that his chopper was hit by a rocket-propelled grenade -- a story now being very heavily disputed -- but a pilot by the name of Rich Krell told CNN&apos;s Brian Stelter that he was flying Williams&apos;s helicopter and while they didn&apos;t take a hit from an RPG, they did come under small arms fire. That seemed to provide at least a tiny bit of wiggle room for Williams, allowing for the possibility that he simply embellished a little as opposed to making the whole story up. But then both the New York Times and the New York Post published conflicting statements from other people who claimed to have been Williams&apos;s pilot in Iraq. Chris Simeone and Allan Kelly say that they were flying Williams, with Krell the pilot of the chopper directly in front of them, and that none of their aircraft took any fire at all. When Stelter learned of this he did the right thing as a journalist: he immediately contacted Rich Krell again and asked for clarification. In a piece published just a little while ago over at CNN&apos;s site, Stelter, saying that he wanted to show as much transparency as possible, walked readers through exactly how he came into contact with Krell, the steps he took to verify his identity, and Krell&apos;s response to the new reports. Bottom line: Rich Krell is now walking back his own story, saying, "I&apos;m questioning my memories." He says that he&apos;s trying to forget what happened in Iraq and Afghanistan and when he lets that entire memory back in "the nightmares come back with it." So what seemed to be a corroboration of at least part of Williams&apos;s story now appears not to be true. But the question remains: What is true at this point? 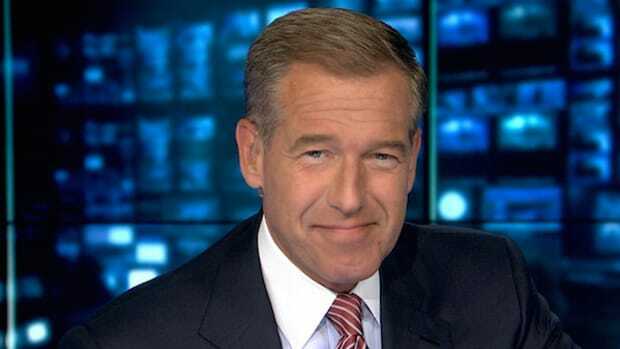 In the initial report Williams filed about the incident for NBC News in 2003, he never mentioned taking fire. He called what happened, “a close call in the skies over Iraq,” and said, “The Chinook ahead of us was almost blown out of the sky.” The question remains how far ahead of Williams that Chinook was. Simeone and Kelly say they and Williams were in their own two-aircraft formation at least 30 minutes behind the formation that was fired upon. They, along with other crew-members that day, say they&apos;ve had a problem with Williams&apos;s account for years. The Times talks to Joe Summerlin, who was reportedly part of the crew of the helo that was actually shot down, and he says he was angered by how Williams portrayed the incident back in 2003. Meanwhile Simeone describes being even more angered when he saw Williams tell David Letterman in 2013 that he&apos;d actually been on the flight that was shot down. 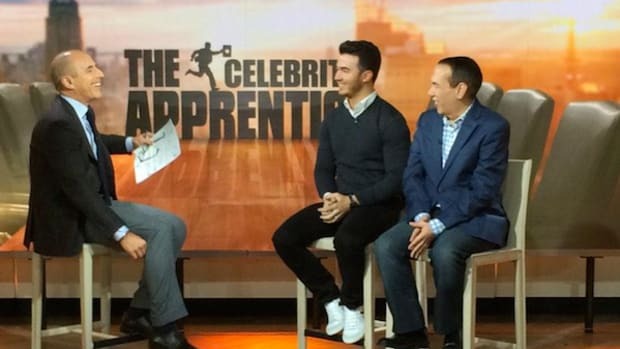 “When he was on the air on the Letterman show, I was going crazy,” he says to the Times. “I was thinking ‘This guy is such a liar and everyone believes it.’"
Good luck figuring out exactly what happened that day in 2003, but as the pieces stack up it certainly seems as if Williams not only embellished in the initial report he filed 12 years ago but continued to pile embellishment on top of embellishment as the years went on. Regardless of what eyewitness accounts say, video can track the evolution of what certainly appears to be a very big lie. It&apos;s still entirely possible that there&apos;s some kind of mind-trick explanation for at least part of what happened here, the same way Rich Krell suddenly seemed to realize that he can&apos;t trust his own memories, but that&apos;s an explanation that&apos;s not going to hold a lot of water with many people. 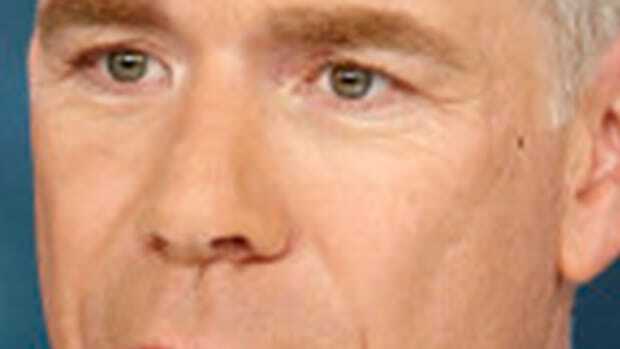 I&apos;m still very much of the opinion that, as I wrote yesterday, Williams can overcome this and that NBC won&apos;t fire him. The network just announced that it&apos;s launching its own internal investigation but it kind of has to do that. 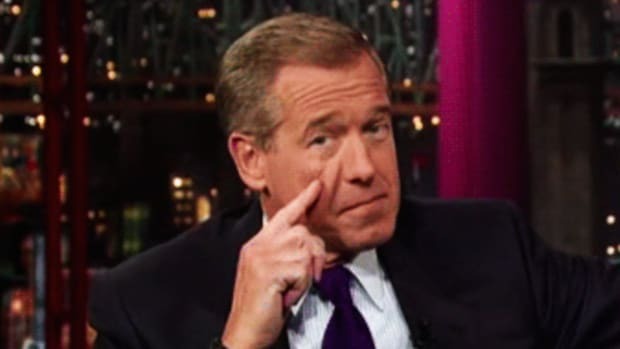 If they&apos;ve got Williams changing his story over the course of 12 years on NBC&apos;s air then that would, under normal circumstances, be enough to hang him. But again, while badly tarnished, Williams is still as of this moment far and away on top of the ratings pile. 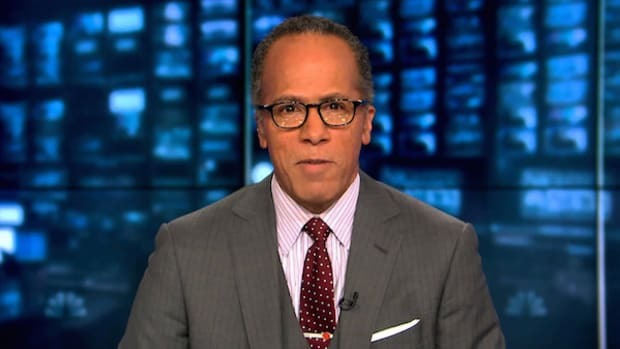 If the audience abandons him, then there will be no saving him, but if it doesn&apos;t -- if he can answer difficult questions, show a hell of a lot of humility, and somehow make this at least sort of right in the eyes of the viewers -- then NBC won&apos;t push him out. Like I said yesterday, to NBC, ratings are credibility. They&apos;re all that matters. 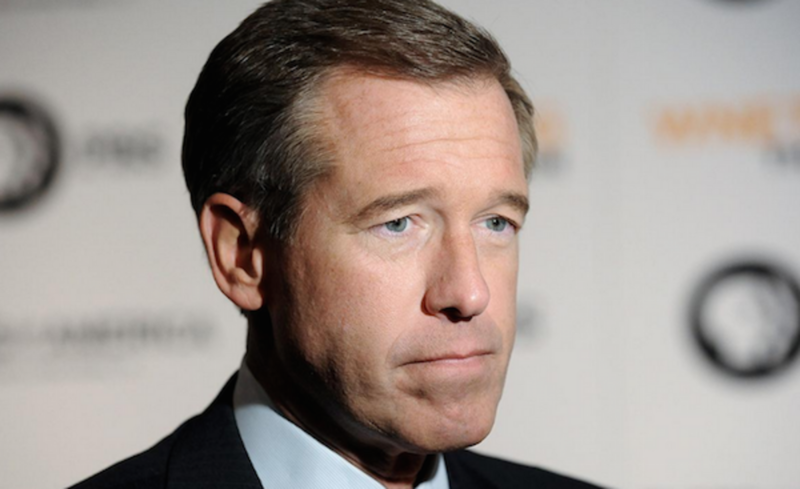 UPDATE: As of Saturday 7th, Brian Williams announced via a memo to NBC staff that he will be taking himself off air temporarily, but does plan to return.